Circle time suggestions, crafts, games, workshops, culinary activities, and many other ideas to explore the roles played by these important family members. Word flashcards, coloring pages, activity sheets, puppets, a picture frame, decorations, and so much more! 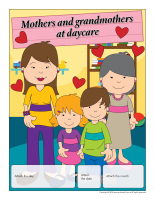 (Open thematic poster-Mothers and grandmothers) Print, laminate, and decorate the walls of your daycare with all kinds of posters. 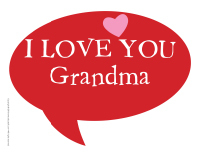 (Open educa-decorate-Mothers and grandmothers) Print, laminate, and cut out the various items. Use them to decorate your daycare and set the mood for the theme. 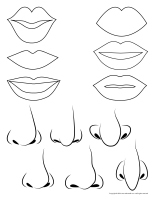 Select a shape that you particularly like (star, heart, moon, animal, etc.) and print several copies. Cut out the shapes. On each one, stick a picture of a child's mother or grandmother. Use ribbon or string to hang the shapes from a clothing hanger or a branch. (Open educa-theme-Mothers and grandmothers) Print and laminate the items that represent the theme. Use them to introduce your group (and parents) to your theme while decorating a corner of your daycare. Encourage each child to draw one or several picture(s) for his/her mother or grandmother. When they are done, they can insert their drawings in a special Mother's Day mailbox you created along with the children in your group. At the end of the day, ask mothers to check if they have mail. This activity can last as long as you wish, a day or throughout the theme. (Open picture game-Mothers and grandmothers) Print and laminate the pictures in the format you prefer. Use them to spark a conversation with your group or to ask children questions. Invite children to bring pictures of themselves at different ages to daycare. Use the pictures to create a ladder that shows how they have grown. Help them notice how quickly they are growing. Show them black and white pictures and explain how, when their grandmothers were young, pictures did not have any colors. How many grandmothers do you have? Do you have special nicknames for them? Do they live close to you or far away? Which activities do you like to do with your grandmothers? Can you describe your mother? What do mothers do during the day? What is your mother's name? What is your grandmother's name? What does your mother love? What is her favourite meal? What is her favourite drink? What is your mother's job? Do you have a special name for your mother? 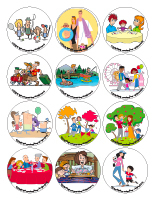 (Open picture game-Mothers and grandmothers) Use the pictures to decorate your daycare or to spark a conversation with your group. Print, laminate, and store the pictures in a Ziploc bag or in your thematic bin. 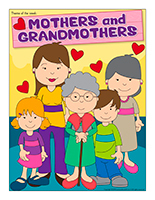 (Open activity sheets-Mothers and grandmothers) Print and follow instructions. (Open writing activities-G like grandmother) Print for each child or laminate for use with a dry-erase marker. 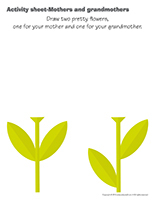 (Open stationery-Mother's Day) Print. Use the stationery to communicate with parents, in your writing corner, or to identify your thematic bins. (Open educa-nuudles-Mothers and grandmothers) Print for each child. Have children color the sheet. Once they are done, they may use Magic Nuudles to turn the coloring pages into three dimensional works of art. Variation: If you do not have Magic Nuudles, ask children to fill the spaces designed for the Magic Nuudles with bingo markers or stickers. To order Magic Nuudles. 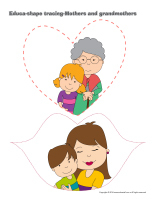 (Open educa-shape tracing-Mothers and grandmothers) Print and laminate for durable, eco-friendly use. Children must trace the various shapes with a dry-erase marker. 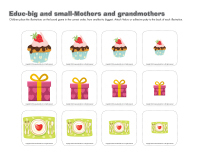 (Open word flashcards-Mothers and grandmothers) (Open giant word flashcards-Mothers and grandmothers) Print several word flashcards, glue them on a sheet of paper, and laminate them. Arrange the sheets in a binder. Show children how they can use a dry-erase marker to trace the words. If you wish, leave room beneath each word so older children can try to write the words independently. Blocks of all kinds to encourage children to build a home, their current home or their dream home. Figurines of all kinds to represent families. Figurines which represent various careers and professions, children will make associations with their mother's job. Craft supplies such as dried flowers and/or potpourri children may use to make a card for their mother or grandmother. 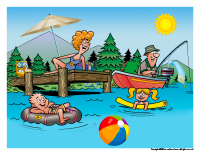 Coloring pages which represent family members and activities which are enjoyed by families. 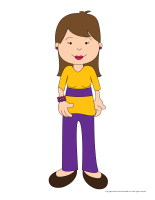 Clothing children can use to personify a mother such as a skirt, a dress, necklaces, high-heeled shoes, etc. Items which are used to care for babies. Include dolls, towels, small bathtub, empty soap and shampoo bottles, bowl, spoon, milk bottle, bibs, diapers, facecloths, etc. Children will love washing, feeding, and changing their babies! Add brushes, hair accessories, elastics, and a curling iron for children to pretend they are hairstyling their hair just like their mother does. You will find additional suggestions within the general theme. Memory game with educatall.com word flashcards. 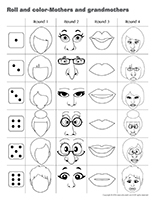 Magnetic game with a face and eyes, noses, and mouths children can add. Beads of all kinds which can be used to make necklaces and bracelets for moms. A Lite-Brite game, it shines like jewels! A Lotto game involving illustrations which represent mothers. Try knitting or sewing like mothers and grandmothers. Fabric flowers which can be planted in modeling dough to make pretty bouquets. Books children enjoy reading with their mother. Invite them to share their favourites with you! Rock the children in your group, stuffed animals, and dolls just like mothers do. Remember to share plenty of hugs too! Listen to lullabies with headphones. 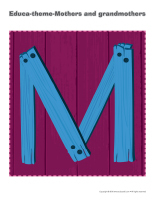 Encourage children to practice writing "Mom" or their mother's name. An obstacle course involving objects such as clothing. Children collect the items along the way for their "mother". You may also choose to ask them to put the clothing on. Play a game of "Mommy says" along the same lines as "Simon says". Act out several "mommy tasks". Children name them. You may add accessories to make guessing easier. Water table: the entire family washes dishes after a meal. Include dishes, towels, dishwashing liquid, etc. Water table: turn it into a bathtub with dolls, soap, and facecloths. Water table: use it to pretend you are doing laundry. Wash doll clothes and hang the items to dry using clothespins. Container filled with soil: like their mother, children will love pretending to plant flowers. Offer gloves, small shovels, rakes, etc. A flower for Mom: purchase a white carnation or daisy. Cut the stem in two, lengthwise. Place the stems in two different containers (two different colors of water). The flower will change color very quickly. Plant flower seeds...they make a perfect gift for Mother's Day! Bake a cake together as a group, just like a family! Prepare cookies and wrap them in pretty paper. Another great gift for mothers or grandmothers. 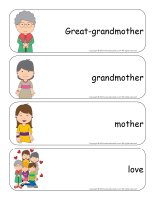 (Open word flashcards-Mothers and grandmothers) Print and laminate the word flashcards. Have each child pick a word flashcard. They can take turns presenting the corresponding word/item to the group. Let children share what they know about each item. Ask them questions to spark a conversation. (Open word flashcards-Mothers and grandmothers) (Open giant word flashcards-Mothers and grandmothers) Print several word flashcards. Encourage children to use Scrabble tiles to reproduce the words. Manipulating the small tiles is a great fine motor skills challenge for little ones. What's more, they will gradually begin to notice the letters that make up the different words. (Open word flashcards-Mothers and grandmothers) (Open giant word flashcards-Mothers and grandmothers) Print several word flashcards and hide them throughout your daycare or yard. Divide your group into two teams. When you give them the signal, children must rush to collect as many words as possible in a predetermined period of time, for example 3 minutes. Afterwards, invite children to join you. To earn a point for their team, children must be able to "read" the words on the flashcards they collected. If they do not succeed, the other team can earn the point if they identify the correct word. (Open picture game-Mothers and grandmothers) Print and laminate the pictures in the format you prefer. Stick one picture on each chair, making sure you keep a copy of each one. At lunch or snack time, let children pick a picture to determine where they will sit. 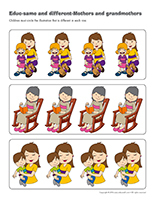 Each child must sit on the chair with the corresponding picture. Invite mothers and/or grandmothers to join you for story time. Let them simply talk to your group about their life or encourage them to read a book to the group. Take advantage of transition periods to sing Mother's Day songs with your group or to play different types of music...from old songs to today's hits. Collect several pictures of adults of different ages. Arrange them in a photo album or laminate them and use a ring to create a picture book. Use your picture book to spark conversations with your group and encourage children to flip through the pictures as often as they wish. Ask parents to provide pictures of each child's mother and grandmothers. Use adhesive paper to display the pictures on a wall, at children's level. Encourage them to look at the pictures and help them recognize their family members. Have children sit in a circle on the floor. Name a child as you roll a ball towards him/her. When the child receives the ball, he/she must say, "My grandmother is special because..." Of course, the child must complete the sentence by naming a characteristic he/she particularly appreciates. Touch a child with a magic wand to transform him/her. Have fun transforming children so they can pretend to be a baby, a child, a mother, or a grandmother, depending on the role you give them. Select a child who will be the leader of the game. He/she must perform various actions normally associated with mothers or grandmothers. The other children must imitate the leader. Explain to your group how, when their grandmothers were young, there weren't as many toys to play with and children therefore played with everyday items available in their home, such as buttons. Provide a large bag filled with colourful buttons and invite children to thread them on pretty ribbon or string to make necklaces. Have children stand on a line in front of you. Dress up like a grandmother and ask them to perform various actions. As in "Simon says...", children must perform the actions only if you say, "Grandmother says..." first. Otherwise, they must remain perfectly still. Children take turns approaching you to ask you if they may execute various actions associated with different types of animals. For example, a child may say, "Mommy may I hop like a frog?" If you accept, the child will hop around the daycare until you invite him/her to approach you again. You may also decide to have a child perform actions associated with a different animal, for example by saying, "No you may not, you belong to the dog family!" Of course, the child would then crawl around the daycare and bark. Examples of actions: cluck like a chicken, hop around like a kangaroo, slither like a snake, etc. (Open educ-same and different-Mothers and grandmothers) Print and laminate for durable, eco-friendly use. Children must circle the illustration that is different in each row. 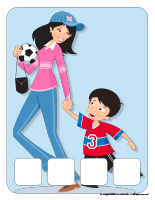 (Open educ-big and small-Mothers and grandmothers) Print and laminate the game. Children must place corresponding cards in the squares in the correct order, from smallest to biggest. Stick Velcro or adhesive putty behind each card. (Open roll and color-Mothers and grandmothers) Print for each child. This game can be used individually or with a group of children. Children take turns rolling a die. Help them count the dots and then invite them to color the corresponding part on the sheet. (Open picture game-My mother's profession) Print the pictures twice and use them as a memory game. (Open association game-Family) Print, laminate, and cut out the cards. Ask children to associate each item with the correct family member. 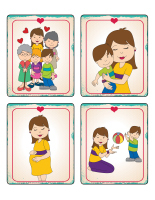 (Open story and memory game-Family) Print, laminate, and cut out the illustrations. Place the cards face down on the floor or table. Children take turns picking three cards and inventing a story in relation with the illustrations. (Open hunt and seek-Family) Print and laminate. Children pick a card and search for the illustrated item in the scene. Fill a chest with clothing items, shoes, hats, jewellery, etc. Let children use the contents of the treasure chest to dress up like a mother or grandmother as often as they wish during the theme. Following a discussion period, invite each child to share a story related to the theme with your group. Encourage them to share their ideas. Write down everything they say. Once they have all had a turn, read their collective story. Children can illustrate it together. Display their story on a wall within your daycare. (Open photo booth-Mothers and grandmothers) Print the models and accessories. Cut them out and glue a pastel-coloured drinking straw behind each one. Purchase hats, headbands, scarves and eyeglasses in a big-box store to add to your collection. Set up a corner of your daycare to represent a photo booth. Simply hang a long curtain or create a unique flower-filled décor. Have fun taking pictures of the children in your group. Invite them to choose the accessories they prefer and let them have fun being silly! You may even choose to invite mothers and grandmothers to participate. Photograph children individually or with their mother/grandmothers. The pictures will make great souvenirs. Print them and use them to decorate the walls of your daycare or a hallway. 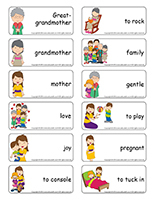 (Open word flashcards-Mothers and grandmothers) (Open giant word flashcards-Mothers and grandmothers) Print and laminate the word flashcards. Cut them out and deposit them in an opaque bag. Use them for a simple mime game. Children can take turns picking a flashcard and using gestures to help their friends guess the corresponding word. For example, if a child picks the word flashcard "to rock", he/she can pretend to rock a baby in his/her arms. The child who identifies the word first can be the next one to pick a word flashcard out of your bag. Invite a grandmother to come show your group how to prepare a special recipe. Prepare traditional recipes with your group: apple pie, oatmeal cookies, etc. You may also explore recipes that are popular among different ethnic groups. Ask parents to share one of their mother's recipes. Each day, prepare one of the provided recipes and tell children who the recipe belongs to. Cut hearts out of colourful construction paper and ask children to decorate them as they wish with ribbons, glitter, etc. Once the hearts are dry, write "I love you" on each one or simply write each child's name behind his/her heart. Glue a clothespin behind each heart along with a magnet. Mothers and/or grandmothers will be happy to display their special heart on their refrigerator. (Open models-Mothers and grandmothers) Print several copies. Ask children to use the models to represent their mother or grandmother. They may also use wiggly eyes, crayons, yarn (hair), etc. (Open picture frame-Mothers and grandmothers) Print a frame for each child. Let them decorate it as they wish. Photograph each child. 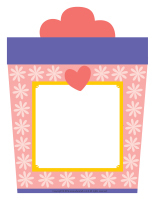 Print the pictures and help children insert their picture in their frame for the perfect gift for their mother or grandmother. You will need a shoebox for each child. Have children paint the inside of their box with the color of their choice. Once the paint is dry, encourage them to decorate the outside of their box with glitter, gems, and various arts & crafts accessories. Ask parents to provide pictures of their child with either his/her mother or one of his/her grandmothers. Children can deposit them in their box and look at the pictures during transition periods throughout the day (snack time, naptime, waiting periods, etc.). Explain to your group how, in the good old days, televisions only showed black and white images and pictures could only be printed in black and white too. Give each child a piece of black paper and a piece of white paper. Encourage them to use white chalk to draw on the black paper and charcoal (or simply a black marker) to draw on the white paper. (Open puppets-Mothers and grandmothers) Print the puppet models on heavy cardboard. Invite children to cut them out and decorate them with various materials. Attach a Popsicle stick to the back of each model to create a puppet. (Open scrapbook-Mothers and grandmothers) Print for each child. Let children complete the page and add it to their scrapbook. Encourage them to draw a fond memory they have of their mother or grandmother. If a child does not already have a scrapbook, visit the "Scrapbook" section of the educatall club. 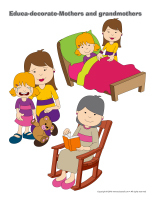 (Open coloring pages theme-Mothers and grandmothers) Print for each child. Print the same coloring page for each child and an extra copy for yourself. On your copy, color only certain parts of the drawing. Present your model to your group and invite them to reproduce your drawing by coloring the same parts using the same colors. Laminate several coloring pages related to your theme and arrange them in a binder. Children can color them with dry-erase markers. Leave your coloring binder and the dry-erase markers in your drawing area so children can use them whenever they wish. Play musical coloring with your group. Give each child a coloring page. Invite children to sit in a circle. When the music plays, they must pass the coloring pages around the circle. When the music stops, children color part of the drawing they are holding. As soon as the music starts up again, children resume passing the coloring pages around the circle. Give each child a coloring page. Once they have all finished coloring their page, cut the pictures into pieces to create simple puzzles. (Open perpetual calendar-Special Day-Moms at daycare) Print and display. (Open schedule-Special Day-Moms at daycare) Print, complete the schedule and display it to inform parents of the activities you will be offering. (Open invitations-Special Day-Moms at daycare) Print an invitation for each child. Encourage children to color their invitation and give it to their mother. Note that a color version is also available. As each child's mother arrives, they can hand them a bouquet of paper flowers. 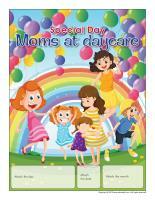 (Open banner-Special Day-Moms at daycare) Print and laminate. Use the banner to decorate your daycare. Children pay special tribute to their mother in front of the entire group. Children prepare treats for mothers. (Open picture frame-Special Day-Moms at daycare) Print for each child. Use the frames to display pictures of your special day within your daycare. They can also represent a great souvenir that children will be happy to bring home. (Open perpetual calendar-Mothers and grandmothers at daycare) Print and display. Organize a special lunch and invite mothers and grandmothers to join you. They will be happy to spend time with their child or grandchild. Photograph each child with his/her mother and/or grandmother(s). Print the pictures and use them to make thank you cards. If there is a seniors' centre close to your daycare, visit it with your group.